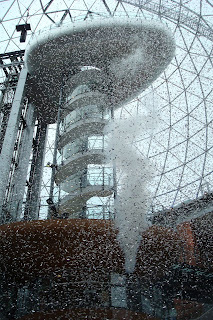 Victoria Square opened at 10.05am on Thursday 6 March 2008 to a storm of glitter and a fanfare of percussion and brass from Ulster Orchestra members scattered across balconies at different levels. This weekend it’s celebrating its “fifth” birthday. 98 shop units over three floors. 35m high glass dome, with iconic panoramas over Belfast. 106 apartments, which were sold on day they were released. Basement parking for 1,000 cars. 800,000 sq ft (75,000 sq metres) of retail space, sustaining approx. 3,000 jobs. By the opening, 92% of the space has been let, though some stores and restaurants won’t open until summer. Built at a cost ~£150 million by joint venture between Farrans and Gilbert Ash, involving ~6,000 people. 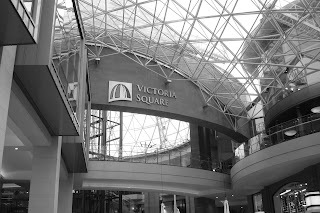 Over 17 million people are expected to visit Victoria Square every year, making it one of the top ten shopping centres in the UK. (Think some people will have to visit more than once to prevent queues at the airports! In the intervening years, the Odeon cinema opened (18 July 2008), the Apple Store opened (20 September 2008) while many other retailers have come and gone. 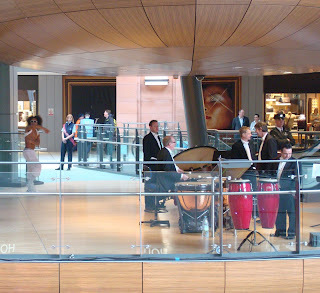 The shopping centre opened with Fanfare to the Common Man, Slam! drummers, Cirque Bijou aerialists and Tap Dogs. Birthday celebrations are running this Saturday and Sunday between noon and 6pm. Expect to see Kelly Brook on Saturday at 1pm and 3.30pm, and Peppa Pig and her brother George on the hour on Sunday. And watch out in case the guy with the blue cake in the video below is still walking around! Bruiser are raising funds on Indiegogo to support their ten day Summer School that provides 14 year olds and over training in physical theatre. Generous funders get the perk of co-writing a brand new song with Duke Special! While I’d come across the notion of spelling bees before seeing the play, I’d always written them off as an American invention and had never seen one run in Northern Ireland. 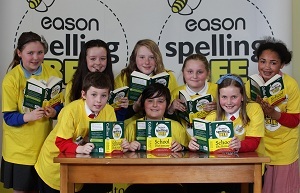 Then about the same time as Bruiser’s Spelling Bee launched onto the Belfast stage, as a school governor I became aware that we had a school child who was through to the County Antrim heat in Ballycastle later this week. The Ulster final takes place on Wednesday June 19 in the Belfast Donegall Place branch of Easons and will be broadcast as part of Ryan Rubridy’s RTE 2fm show. The All-Ireland final is on Friday June 21. Best of luck to all the spellers. Rather you than me! 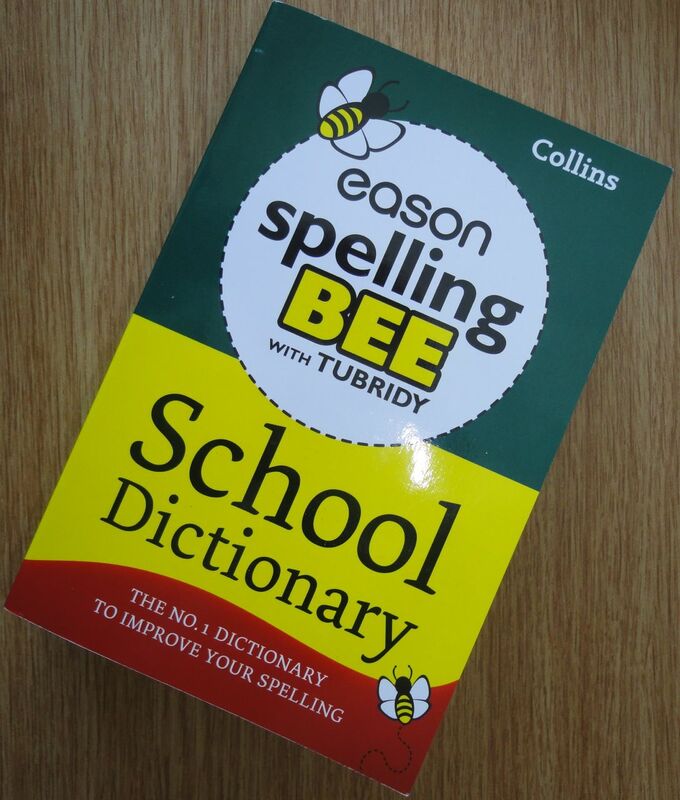 In the meantime, we’ll continue to call out words to each other at the dinner table, enjoying the pronunciation guide in the Easons-branded Collins dictionary, and marvelling at Collins’ preference for –ize endings over the more common Irish/British –ise endings. 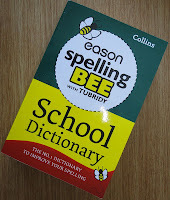 Disclosure - this post was triggered by an Easons Spelling Bee dictionary arriving on the doorstep a few weeks ago along with the 2013 Rules for running a bee. The mini-bees that have been conducted around our dinner table threaten to reveal my over-reliance on the spell-checker. 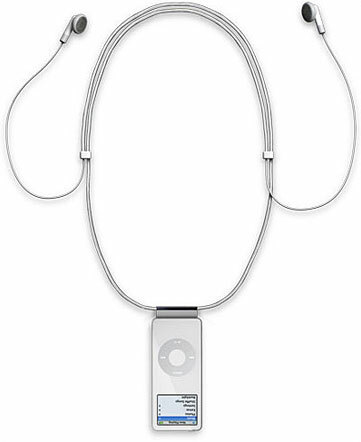 As an avid listener to podcasts, for years I wore an Apple Nano iPod on a lanyard around my neck. 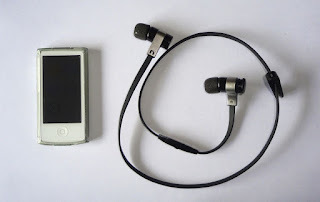 The Nano would sit in my shirt pocket and the earpieces were never too far away to pop into my ears if I was walking somewhere and wanted to tune in. Unfortunately the cable coming out of the Nano was prone to wear and tear. After six months use, one ear would stop working and from that point it was only a matter of time before the other ear would give up too. 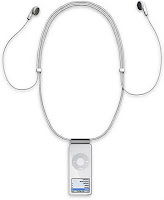 After the second generation iPod, Apple abandoned the lanyards: I imagine they got fed up with warranty replacements. Some case manufacturers provided something similar for a while, but they were never as good. When the latest iPod Nano – seventh generation – was released in 2012 I rejoiced that it had built-in Bluetooth. iPod sits in my shirt pocket. It’s small and light enough – and the pockets are deep enough – that it’s never bounced or fallen out. The right hand earpiece seems to be the clever one. A flimsy plastic cap at the end screws off to reveal the Micro USB charging port. It takes a couple of hours to charge, and in my experience plays music for 7-8 hours and remains on standby for ever. The Rockaway can pair with your phone as well as a music device, swapping to it when a call comes in. While in theory the Rockaway keeps an internal list of up to eight devices that it can pair with, I’ve found that when swapping between Apple devices (iPod and iPad) I sometimes need to put the earbuds into discovery mode and re-pair. After a month or so a crack appeared in the flimsy cap and eventually a piece broke off. And every few months since it seems to shrink in size. 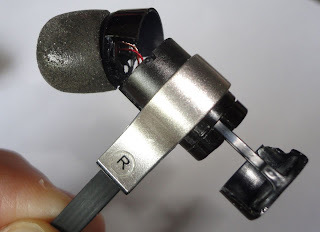 But much more disturbing, this week I realised that one earpiece kept falling out of my ear and then noticed that it was because the thin plastic holding the right earpiece onto the cable had given way and was wobbling about. Unfortunately the poor build quality doesn’t match the pretty solid technology in the Novero Rockaway earbuds. Exactly seven months old, used frequently – but never abused and thrown into the bottom of a bag – I'd expect earphones to be robust enough to still be in one piece. The iPod Nano’s Bluetooth support improved in the most recent firmware upgrade and as long as the iPod Nano and the earbuds stay within range, they can both go into standby and not require a manual reconnection when you want to listen to something again. Bluetooth earbuds paired with the iPod Nano turns out to be a very convenient way of listening. Now to navigate the warranty process – which I suspect will say this is normal wear and tear – and find some more robust earbuds to use. Update - I was wrong. They've just replaced the headphones. Thank you Novero Customer Service! 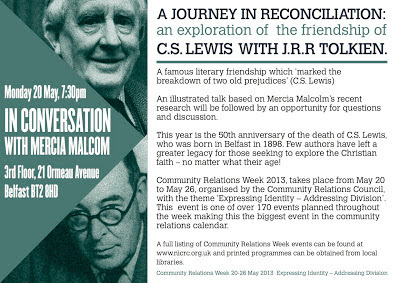 On Monday evening as part of Community Relations Week, Rev Mercia Malcolm shared some of the findings from her sabbatical research into the relationship between Oxford literary giants CS Lewis and JRR Tolkien. 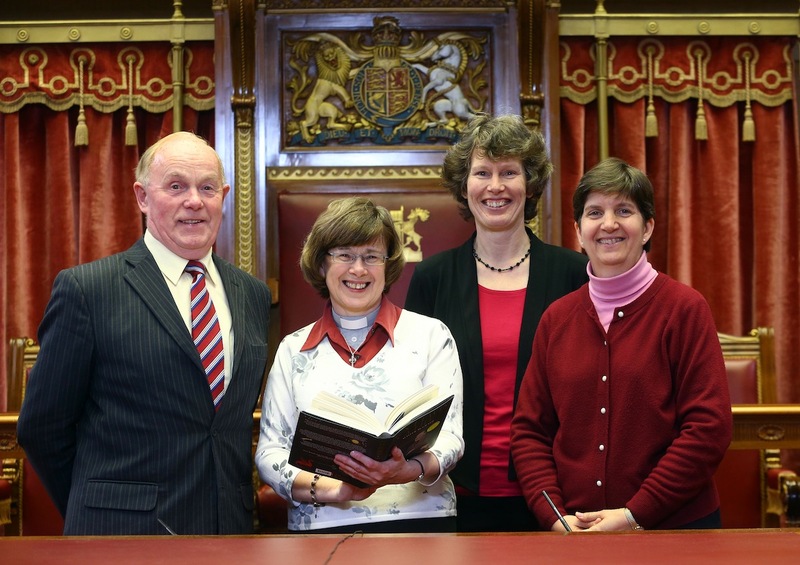 The event was organised by Contemporary Christianity in Belfast and was repeated at Parliament Buildings on Thursday. The first part of Mercia’s presentation gave an overview of CS Lewis’ connection with Northern Ireland, his traumatic childhood and education, and his journey from Church of Ireland confirmation to atheism. His mother Florence Lewis was one of first female graduates from Queen’s University, Belfast with a degree in mathematics. The talk was illustrated with photographs of Lewis-related sculptures, a door knocker with a lion’s head, Oxford colleges and Lewis’ house which has been converted into a research centre and was Mercia’s base during her studies. Lewis’ relationship with Jane Moore – the mother of a fellow cadet who was killed in action – adds to the complexity of a character normally treated with such reverence by preachers in church circles. The second part dealt with the influence of Tolkien on Lewis. Lewis and Tolkien were both members of The Inklings writers group that met in Lewis’ college rooms as well as in the local Oxford pub The Eagle and the Child (locally nicknamed The Bird and the Baby). Mercia explained how the pair challenged each other to write science fiction, leading to Out of the Silent Planet. Worth noting that while Lewis authored the Chronicles of Narnia series in around three years, Tolkien took 20 to complete his Middle-earth series (including its less-well known associated volumes). Tolkien was a conservative Catholic. Lewis described Tolkien as helping him “over the last stile” in his (re)conversion to Christianity, though Tolkien was disappointed that Lewis opted for Anglicanism. Mercia pointed out the context in which Lewis grew up – with relatives split across both sides of the Home Rule / Covenant and evangelical preachers in the family – he would have been subjected to anti-Catholic thinking. His friendship with Tolkien was a significant reconciliation with his background and identity. Yet while the talk had “reconciliation” in the title, the friendship between Lewis and Tolkien ebbed and flowed and had many snags. Tolkien was also less than enthusiastic about Lewis’ popular theology. He disagreed with Lewis’ view on religious/civil marriage. And he wasn’t keen on Lewis’ wife Joy. Overall, their thirty year friendship seemed to sour in the latter stages. As a Tolkien fan, I wished that Mercia had devoted more of her talk to giving more insight into the influence of Tolkien over Lewis and I hope that she does complete writing up and publishing her sabbatical research. Keep an eye on the Contemporary Christianity website to find out about future In Conversation events and the upcoming annual Catherwood Lecture. You can also go back and read about and listen to previous Contemporary Christianity events in old AiB posts. 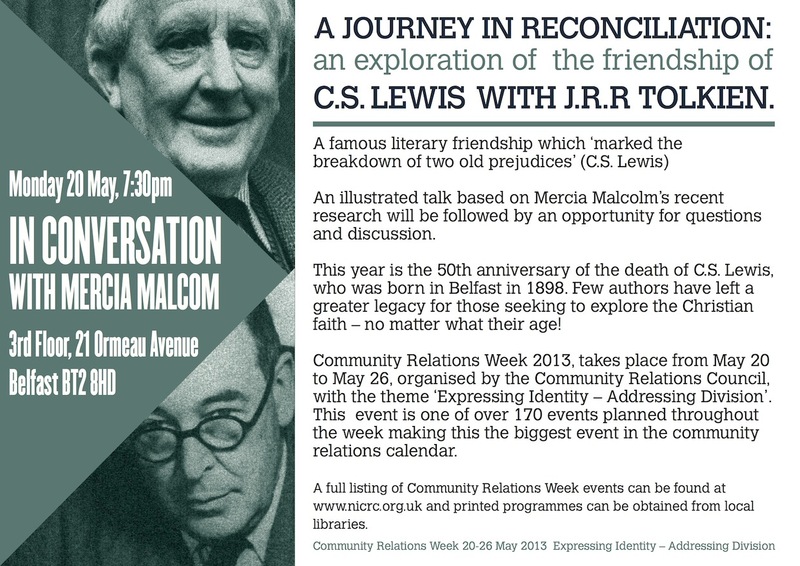 As part of Community Relations Week, Contemporary Christianity are hosting a talk by Rev Mercia Malcolm - a Church of Ireland vicar in Carnmoney - exploring the friendship of two of the Inklings, CS Lewis and JRR Tolkien. As a fourth or fifth former, I remember re-reading Humphrey Carpenter's biography of Tolkien in order that I could be interviewed in character as Tolkien as part of an exercise in Mr Duffy's English class. "marked the breakdown of two old prejudices." Find out more on Monday evening (20 May) at 7.30pm up on the third floor of 21 Ormeau Avanue, Belfast, BT2 8HD (just past the BBC). There's always tea and coffee and a warm welcome. The talk will be followed by questions and discussion. 2013 is the fiftieth anniversary of the death of Belfast-born author. CS Lewis Tours run every Sunday afternoon from June to September, leaving the front of the Linen Hall Library at 2pm. Eamonn Mallie – I’m looking at you! While your funeral tweeting has been scoffed at in the past, and is often the subject of debate at tweet-ups and seminars, 4% of folk are with you! In fact, of those surveyed across the UK, one in six had used their phone during a funeral. I used to tell folk that I only switched my phone off for funerals and flights. Increasingly that’s not true. Funerals had become another situation when the phone was simply slipped onto silent. A couple of years ago, I silenced my phone as I got out of the car and headed into an East Belfast church to attend a funeral. I remember doing it as I’d paused when a colleague walked past the car and told him that I was fixing my phone before going any further. Somewhere in the middle of the tribute I felt a vibration in the chest pocket of my jacket. The vibration that comes a second before the ringer goes off. For that second I was calm. Only I would notice the vibration. And I could slip my hand into the pocket and hit the button to reject the call. What happened next caused my heartbeat to race and no doubt my neck to go red. bRing! bRing! Whaaaa … I’d taken precautions. I’d set it to silent! How could it be ringing? It takes a lot longer to reach into your pocket to switch off a noisy phone that one that’s simply vibrating. The ground didn’t open up and swallow me. A lightning bolt didn’t crash through the roof of the church and strike me down. Though I half expect to be held to account for the incident at the pearly gates! Later on when I was thinking straight again, I realised that my phone had already been on silent earlier that morning. So I’d actually un-silenced it getting out of the car. And I hadn’t looked down at the screen to check. Holding in the ‘C’ button had been enough every other time. For a while after that I switched my phone off at funerals. But more recently I’ve lapsed back to silencing it … though I nearly always visually check it is muted nowadays. As well as being purveyors of food and banking, The Co-operative Group run hundreds of funeral homes across the UK, including 19 local ones under the banner of Funeral Services Northern Ireland. 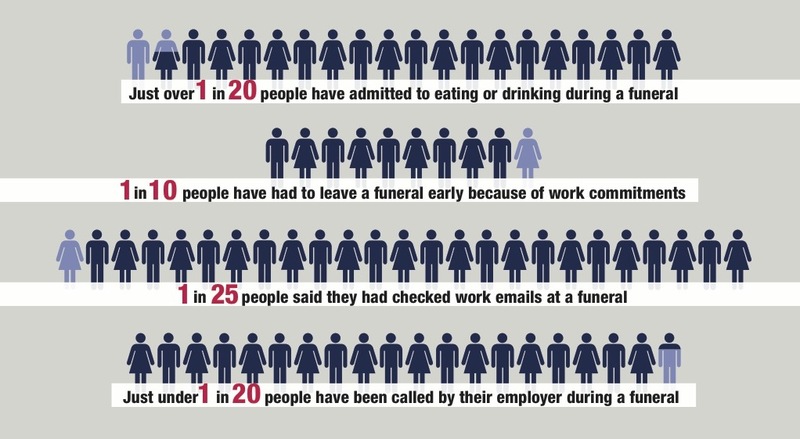 The survey I referred to early was commissioned by the Co-Op and the two thousand adult funeral attendees were cornered at some of their funeral homes across the UK. I suspect we’ll be reading a lot about the results of the survey in this morning’s papers and hearing the issues discussed on the radio. Like the regular Travelodge surveys – the ones that reveal a third of British adults share their bed with a teddy bear – the funeral industry’s mobile survey is very accessible and easily conveyed, with a sprinkling of advertising thrown in for good measure! 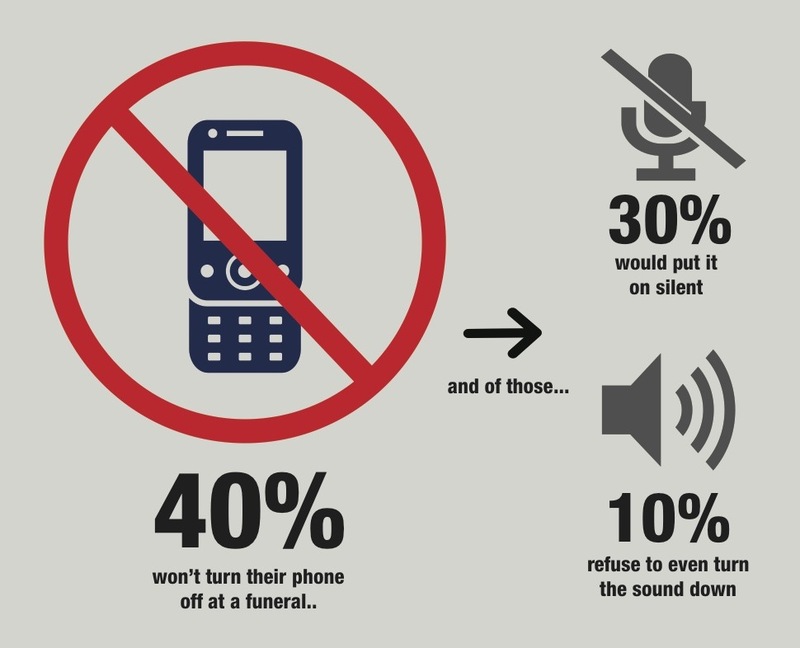 70% of people thought that it was unacceptable to use your mobile phone at a funeral. That’s higher than while driving (55%), at a wedding (41%), on a train (18%) or on a plane (18%). 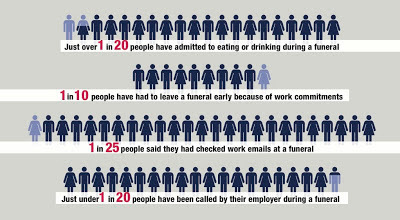 “We are witnessing a cultural shift in society’s stance on funeral etiquette. 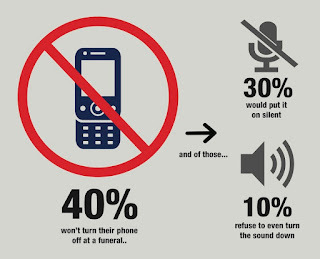 Although people universally despise the use of mobile phones at funerals, many exercise double standards by frowning upon the use of mobiles by others when they are unwilling to turn the sound down or turn their own phone off. Sentiment shared exactly by David Collingwood, operations director of Co-operative Funeralcare in the Guardian. Great minds think alike - that's how it works with regionalised press releases! But if our phones were off, then we couldn’t take calls, tweet, read emails ... or film the service. Over one in four people in Northern Ireland talk [on the phone] during funerals, in the north of England over one in 10 admitted to leaving their phone on by mistake while Londoners and those from the South East were the most likely to make a call. 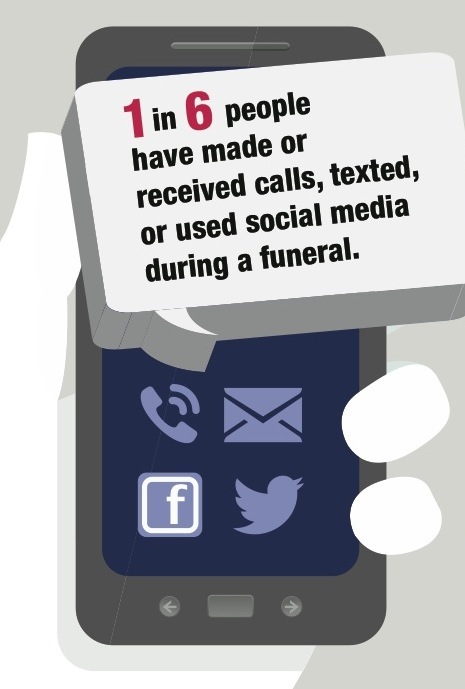 One in 40 East Midlanders have filmed a funeral on a mobile phone! I can’t find any quantitative stats but there is anecdotal evidence that some people are being buried with their mobile phones … occasionally in mobile-phone shaped caskets! It does make me stop and think. The only place I’m truly offline and out of touch with the world is while on a long haul flight. Being constantly “on the grid” is certainly normal, but can it also be healthy? Well connected but perhaps constantly distracted? I had a leisurely read today through a couple of this morning’s papers and a number of oddities jumped off the pages. 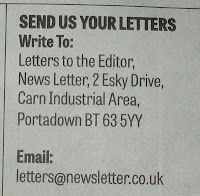 While verging on petty, the snags and snafus do point to the lack of subeditors at the News Letter and the pressure on the remaining Johnston Press staff who recently switched to use a new template-based approach that imposes limits on story length and page layout. 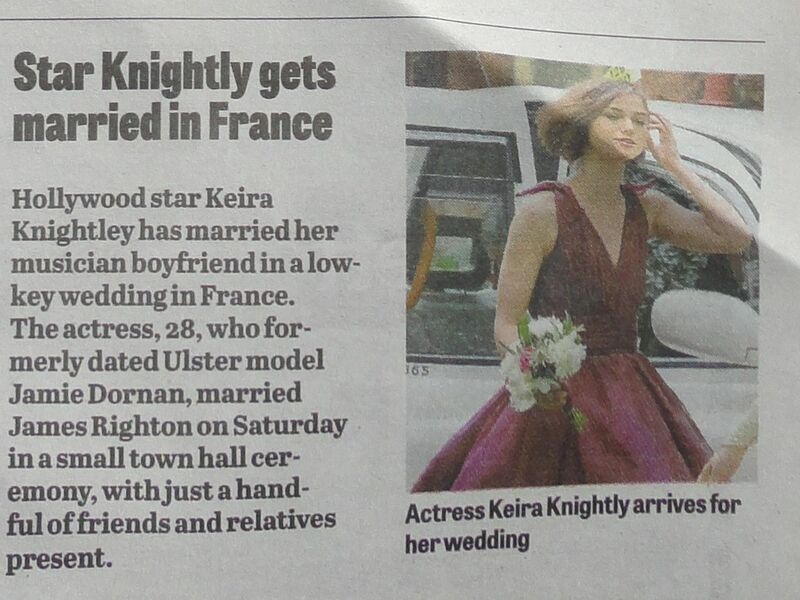 Both the Irish News and the News Letter use the same old photo of Keira Knightly in a bridesmaid dress at a friend’s wedding in 2011. Unfortunately, the News Letter label the picture as “Actress Keira knightly arrives for her wedding”. [Other than sharing the same image, the News Letter online article for this story is completely different from the published one!] The Daily Mail is pretty sure she wore a white dress at her own wedding! 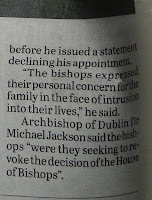 Archbishop of Dublin Dr Michael Jackson said the bishops “were they seeking to revoke the decision of the House of Bishops”. 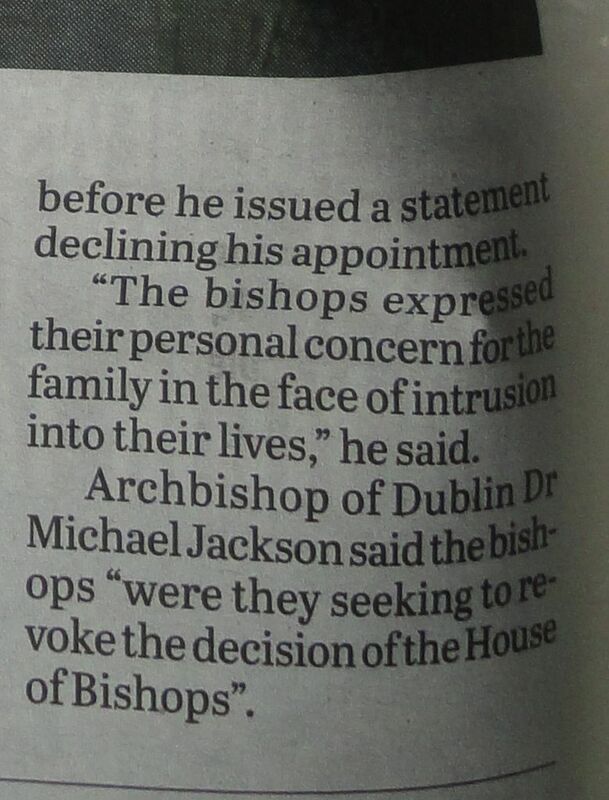 The bishops were not representing the House of Bishops, nor were they seeking to revoke the decision of the House of Bishops who had previously confirmed his election to the bishopric of Meath & Kildare in good faith. With each fashion season there are mainstream looks, and then there are niche trends. 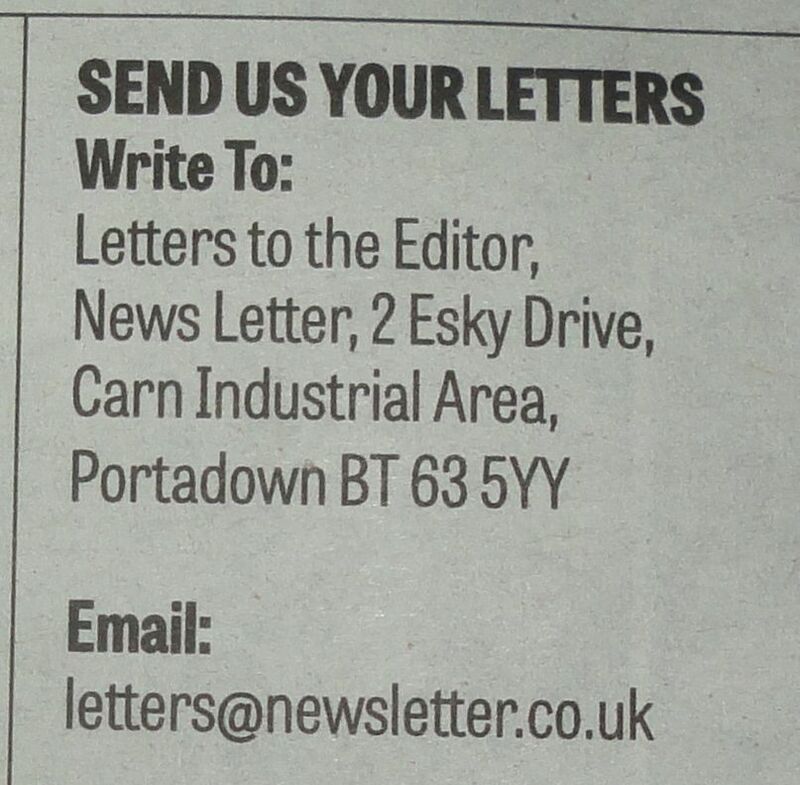 Not for the first time, the Letters to the Editor page in the News Letter seems unsure of the newspaper’s proper Portadown address. The bottom left hand corner of the page suggests it is “Cam Industrial Area”. In a paragraph immediately below it becomes plain “Carn”. And over in the bottom right hand corner it is more correctly listed as “Carn Industrial Area”. Let’s not even start commenting on the wide variation of byline styles still being used across different articles in the relaunched News Letter. 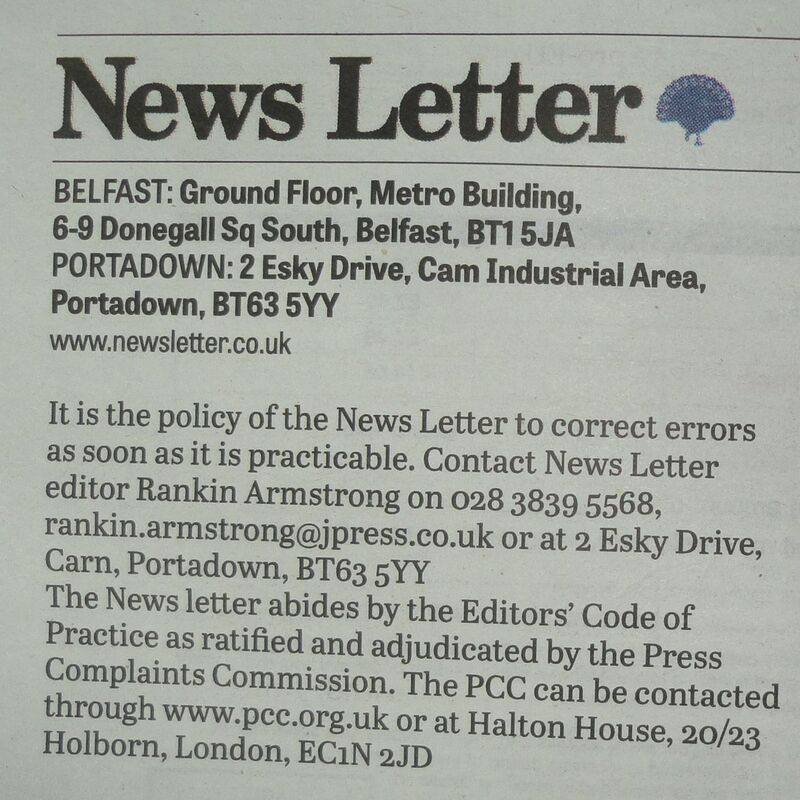 Questions remain about the effect of recent changes at the News Letter on staff morale, its inability to include late-breaking stories given the inflexibility of the new templates, and whether the concentration on online video will pay off for the paper's website and tablet edition. 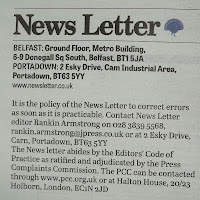 I understand that Johnston Press are once again looking for further redundancies, and in the last few weeks the NUJ have raised the issues of defamation/libel (writing a balanced article that sums up two sides of a court case in 200-250 words is very difficult) as well as occupational stress with local JP management. While Johnson Press' managing director in Ireland agreed to be interviewed last August/September, a date was never set and she hasn't responded to my most recent email trying to arrange something to mark the paper's relaunch. Derry’s stint as UK City of Culture for 2013 is bringing all kinds of events and conferences to the city. At the end of May, a business and innovation conference with a technological and cultural focus will take over the Millennium Forum. The EBN Congress will bring together European business and innovation centres, incubators, businesses and entrepreneurs. 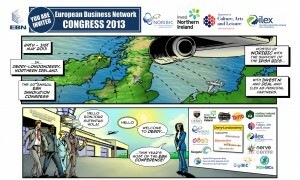 This year’s congress is being organised by NORIBIC, the Northern Ireland Business Innovation Centre. Steve Wozniak is best known for co-founding Apple Computer Inc along with Steve Jobs. He’s also a philanthropist and founding sponsor of technology and children’s discovery museums as well as an initial funder of the campaigning Electronic Frontier Foundation. Richard Florida is described as an “urbanist” and wrote The Rise of the Creative Class, a book whose concepts Derry academic Paul Moore rubbished in his 2011 TEDxBelfast talk. Tim Smit co-founded the Eden Project where he is still co-chief executive. The project has contributed over £1 billion into the Cornish economy. Long before that he worked as a composer and producer of both rock music and opera. Michael Gorman is founding director of Dublin’s Science Gallery and has a passion for exciting people about the “creative collisions between art and science”. The Science Gallery was described at last year’s TEDxBelfast as having “no entrance fee and a decent café in which you can meet scientists and artists, their exhibitions go beyond simple childish scientific displays and offer an insight into real science”. And that’s before you list the experts in economics, semiconductors, sustainability, the University of Ulster’s Director of Innovation Tim Brundle and director of Derry’s CultureTECH festival Mark Nagurski and lots, lots more. It’s good to see that the list of speakers is not all male. Themed villages will focus on culture, digital, social and internation opportunities for networking. Hopefully I’ll be there on the middle day and will post about the atmosphere and some of the content being shared. In the meantime, local creative firm Uproar Comics have produced a light-hearted guide to the congress.